Build your own rebel soldier minifigure! Defy the galaxy’s scariest villains! In this activity book, you can power through tons of fun missions – and you’ll never get tired. Why not? You’re strong with the Force! Strut your stuff with the brave heroes of the LEGO® Star Wars™ resistance. You’ll get to race starfighters, chase baddies, battle with a lightsaber and do all the other cool things that Star Wars™ heroes do. 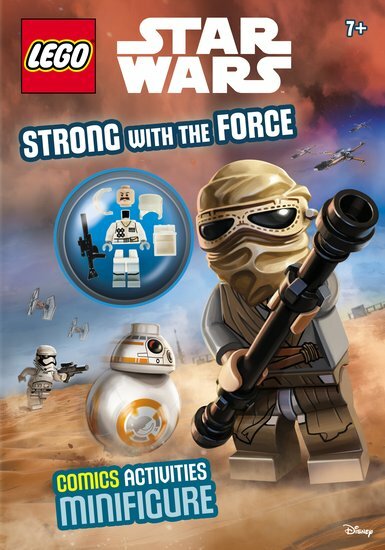 Tackle puzzles, read funny comics and build your own LEGO® rebel soldier. Turn Vader’s bad guys into sad guys!